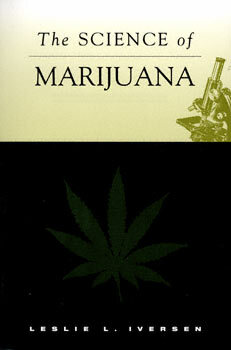 After alcohol and nicotine, marijuana is the most commonly used "recreational" drug in Western countries. There has already been growing debate about the medical applications of marijuana na dother cannabis-based preparations and increasing pressure to legalize such use; voters in several states in the U.S. in the 1996 and 1998 elections approved proposals to implement such measures. In The Science of Marijuana the author explains the remarkable advances that have been made in scientific research on cannabis with the discovery of specific receptors and the existence of naturally occurring cannabis-like substances in the brain. The book also gives an objective and up-to-date assessment of the scientific basis for the medical use of cannabis and what risks this may entail. The recreational use of the drug and how it affects users is described along with some predictions about how attitudes to cannabis use may change in the future. It is written with a minimum of scientific jargon or technical language for readers who want to know more about the science that underlies the current cannabis debate. "...a treasure trove of information about the history of marijuana use and legislation, it effectively summarizes in lay terms the cannabinoid research that now offers a potential scientific foundation for medical, political, and legal decisions about marijuana. The most important, and the most extensive, part of the book deals with the potential therapeutic uses of marijuana, the cornerstone of the current public debate." "Iversen has written an excellent, well-balanced, non-specialist book covering both the biological and social aspects of cannabis. I strongly recommend it." "The book provides a broad, balanced review of this controversial drug and could help bring some light into an area long obscured by entrenched biases." Leslie L. Iversen, Ph.D., FRS, is Visiting Professor in the Department of Pharmacology, University of Oxford, and in the Department of Clinical Pharmacology at the Imperial College School of Medicine, Hammersmith Hospital, London. He is also founder of the pharmaceutical company Panos Therapeutics Ltd. The author of several books and more than 350 scientific publications, he is a Fellow of the Royal Society of London and Foreign Associate of the U.S. National Academy of Sciences.